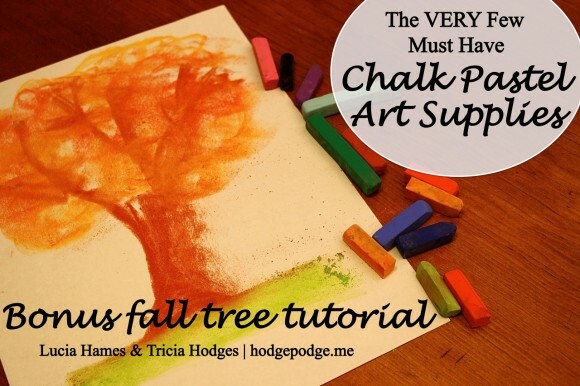 Nana shares a video of the very few, simple supplies for chalk pastel art! There aren’t many. Plus, don’t miss the bonus fall tree tutorial at the end of this short, less than three minute long video! A note on chalk pastels: Pastels are an easy, forgiving medium. Fun for children and adults alike! Details on the pastels and paper we use, how and where to purchase, and links to all of Nana’s other pastel lessons (100+ free lessons now) are all contained in the post Pastels plus links to tutorials. A simple set is very affordable. Nana also teaches acrylic lessons. 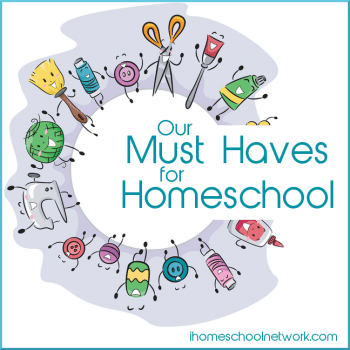 Be sure to visit all the Must Haves for Homeschool from iHomeschool Network! Have you subscribed to Hodgepodge on YouTube? We are working on more video art tutorials for the future! Love it! Your videos are awesome. Thank you so much for taking the time to make this video for us! We are still loving our chalk pastel time! We recently watched some friend’s children for the evening and we introduced two additional families to chalk pastels. They loved it! It was a great time. Thank you so much for introducing us to this amazing art. I loved hearing Nana’s sweet Georgian voice. 🙂 Thank you for the quick simple fall tree tutorial and tips on supplies. I will pass this on to my boys. I wish, wish that I could hug your neck! Thank you for the wonderful comment! Woot! Way to go Nana! This Yankee enjoyed that sweet southern voice as well. We are so making those trees tomorrow. Our walls need new adornment. The leaves are turning like crazy up here in upstate NY! If I could, I would hug your sweet neck too! I love these comments, they make my day! Hello! Can you tell me if chalk pastel art work can be framed?? Or would that smear too easily on the glass? I asked Nana to be sure! Here is her answer: You can definitely put finished pastels under glass. If carefully done, they should never smear. This is the only way to keep them from being damaged from handling and sunlight. You’ve converted this homeschooling crew to pastel painting. Nana, I love your video lessons. The 13 year old down to the 4 year old are able to do it -oh yea, and me. My sister came over, now she has ordered chalk pastels. Please make more videos! Thank you for sharing your talent with us. Deanna – thank you SO much for your comment! Made my day! We love to hear of Nana’s tutorials blessing families. Is there a coat or finishing product that should or can be applied over a chalk pastel work? Some had mentioned aerosol hairspray. Thank you and I just love your site for our homeschool art lessons! Thanks Michelle – and yes – if you use the cheap aerosol hairspray (not pump), take your painting outside and lightly (1) spray and then let dry. We have found that this preserves your art work well!